What girl doesn’t love Paris? I was feeling a little French-inspired when I got dressed this day (something about stripes and flats), thinking about strolling through Montmartre or along the Seine. 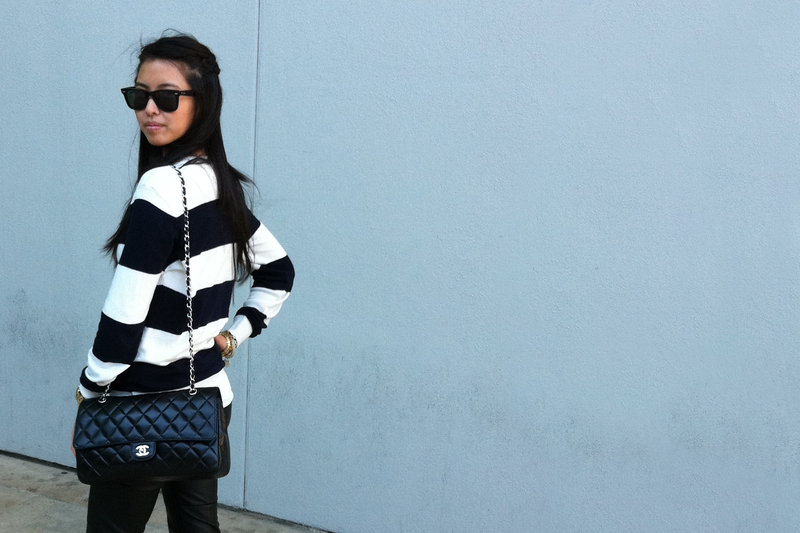 To toughen up my simple sweater, I added black leather pants, studded flats and a chain bag to make my outfit a mix of classic and modern, sweet and sharp.